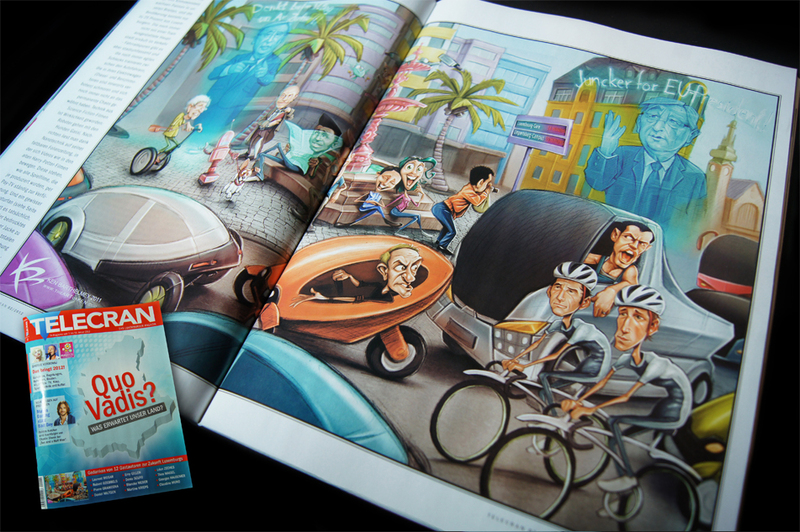 At regular intervals, I have the pleasure to create Illustrations for the TELECRAN (a luxemburgish magazine). This piece was for a special report: QUO VADIS LUXEMBURG? It is about of what Luxemburg looks like in 2022. The illustration was the punch line from the 26 pages special-dossier.